Charles Dickens’ A Christmas Carol is about a crotchety, stingy old man named Ebenezer Scrooge who is visited by spirits trying to save him from his “humbug” attitude of Christmas. His bitterness is evident ranging from the way he treats his underpaid clerk, Bob Cratchit, to his dismissal of the poor. The spirits succeed in changing this insensitive miser to a generous and thoughtful person who knows “how to keep Christmas well.” In real life, it was the story of Scrooge who saved Dickens. 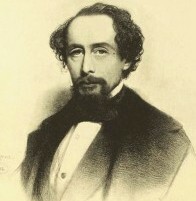 Despite Dickens’ literary success, he repeatedly had to take care of his father’s financial problems. Poverty in 19th-century England often meant prison for people who couldn’t pay their debts. His father, a naval clerk, lived beyond the family’s financial resources and was sent to Marshalsea, a debtor’s prison in London. That same year, 1824, 12-year-old Charles had to drop out of school to work in a boot-blacking factory where he labeled pots of “blacking” used for cleaning fireplaces. That feeling of abandonment, of being “so easily cast away at such a young age,” would remain a central theme in his writings. His father was released from prison after declaring bankruptcy and used an inheritance to pay off his remaining debts. He also got a job as a journalist with the British Press. The family was getting back on their feet and young Dickens returned to school. The newspaper failed in 1827 and, at the age of 15, Dickens dropped out of school again to help support the family. This time, he became an apprentice clerk in a law office. He found the legal system self-serving and hypocritical, and remained committed to the distinction between law and justice. 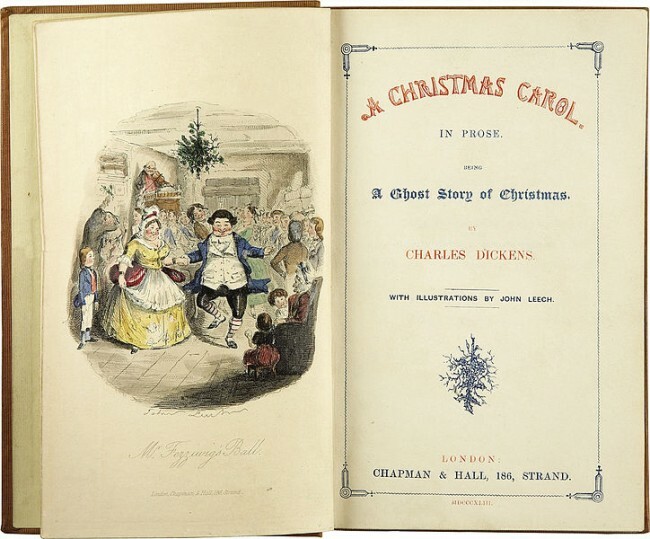 Before Dickens wrote A Christmas Carol, he had already published several novels, short stories and other writings. 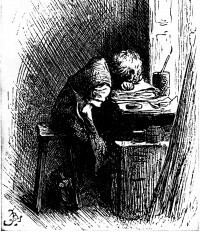 The themes of poverty and abandonment were especially evident in Oliver Twist (1838). The book exposed orphanages, workhouses and other conditions of the poor in London, making those subjects impossible for people to ignore. 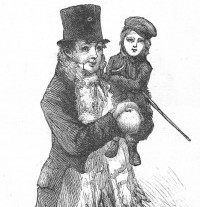 After novels like The Life and Adventures of Nicholas Nickleby (1839) and The Old Curiosity Shop (1841), he was considered a celebrity and outspoken against the injustices of the poor. He had been on a successful, five-month lecture tour in the United States, but the books he wrote after he returned to England did not generate the interest or sales of his previous ones. His publisher, Chapman and Hall, had advanced him money and reminded him of a new clause in his contract that allowed for a reduction in salary based on slow sales to pay back his debt. Financial obligations were mounting. He and his wife had four children and another one on the way. His father was selling pieces of paper with the author’s signature to get money and even contacted the publisher directly for a ticket on a Thames riverboat. Dickens was embarrassed and finally put notices in newspapers that the only debts he would be responsible for were his own. The year was 1843, he was 31 years old, disheartened and needed to write something that would save his career. During the six weeks it took for Dickens to write it, he would take long walks through the London streets observing all classes of people. His publisher, Chapman and Hall, refused to publish it with their own money. The author borrowed the money from friends and paid his publisher to print it. He was taking a risk both financially and professionally. Christmas was not a favorable holiday in 1843. The Industrial Revolution had a harshness about it. Child labor resulted in many deaths in factories and unsafe working conditions existed for both children and adults. The celebration of Christmas was frowned on by Puritans due to pagan influences described in carols about wassail and yule logs. Dickens had 6,000 copies printed at his own expense. Within four days, all 6,000 were sold. Not only did the story of Scrooge revive Christmas traditions in England but it also saved Dickens’ career and finances. Whether it is depicted in books, movies, TV specials or plays, A Christmas Carol has been a part of the Christmas season every year since 1843. The book has never been out of print since Dec. 17, 1843, when it was first published. Standiford, Les. The Man Who Invented Christmas. New York: Crown Publishers, 2008. Dickens, Charles. A Christmas Carol. Complete text online of 1890 edition. Top photo: Title page of A Christmas Carol by Charles Dickens, 1st edition, 1843. 2 Responses to "How Scrooge Saved Charles Dickens"
Howdy would you mind letting me know which web host you’re utilizing? I’ve loaded your blog in 3 different web browsers and I must say this blog loads a lot quicker then most. Can you recommend a good web hosting provider at a honest price? Cheers, I appreciate it! A Christmas Carol was my introduction to Dickens as a pre-teenager and I have been a devotee ever since,,, an educationally joyful experience, My first will always be my favorite – in fact Christmas doesn;t start for me unless I have watched one of my many versions (including the Muppets) with Little Dorrit and Bleak House following close behind. Thank you Mr Dickens.